ATT officials say that the carrier plans to work with FirstNet to release draft state plans in June and expects governors to make opt-out decisions during the fourth quarter of this year, when the company’s goal is to have all 56 states and territories accept the nationwide FirstNet deployment plans. AT&T officials today said that the carrier plans to work with FirstNet to release draft state plans in June and expects governors to make opt-out decisions during the fourth quarter of this year, when the company’s goal is to have all 56 states and territories accept the nationwide FirstNet deployment plans. Speaking during AT&T’s first-quarter earnings call, AT&T Chief Financial Officer John Stephens created some momentary confusion by failing to differentiate between the draft state plans that will be released in June—subject to input from state officials—and the final state plans, which are expected to be distributed in latter portion of the fall. “In the FirstNet process, we’ll post the state plans here in June, [and] open up the opportunity for states to opt in,” Stephen said during the earnings call. 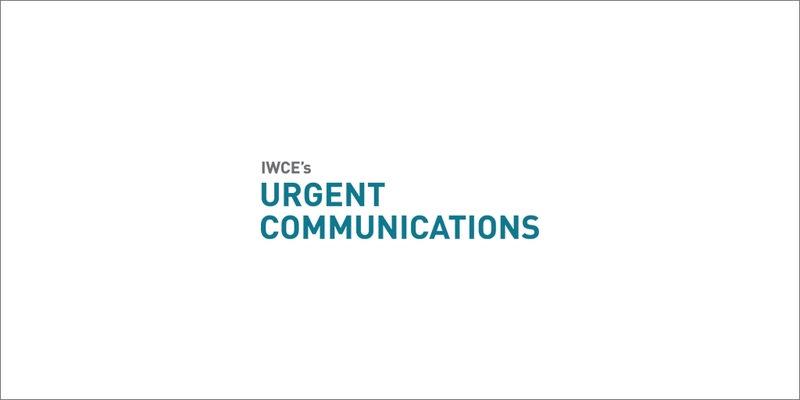 Although Stephens said that “state plans” would be posted on state web portals in June, spokespersons for both AT&T and FirstNet confirmed to IWCE’s Urgent Communications after the earnings call that only the draft version of the state plans would be released in June. Indeed, Stephens later noted that governors would make their decisions whether to have their states accept the FirstNet deployment plan or pursue the “opt-out” alternative primarily during the fourth quarter of this year. Under the law that created FirstNet, governors have only 90 days to make this choice, which would mean that that the final state plans are still expected to be released late in the third quarter of this year. When asked what AT&T would do if states or territories decided to pursue the “opt-out” alternative—a choice that would have the state build out the radio access network (RAN) within its borders, instead of FirstNet/AT&T—Stephens outlined the carrier’s planned efforts to persuade governors to accept the FirstNet state plan. “We’ll actively work with the states, try to answer any questions and concerns that they have,” Stephens said. “We’ll work with them and the FirstNet organization—who have been really good to work with—in convincing the states that opting in is the right answer. Stephens also noted that an “opt-out” choice would be difficult for most states, because (1) they will not have access to the funding that AT&T would receive to deploy the 700 MHz LTE network in the jurisdiction, (2) they typically lack an existing network within their jurisdictions to help offset costs, and (3) they would bear the risk associated with any cost overruns associated with the RAN project. With these factors in mind, AT&T is hopeful that no states or territories will pursue the “opt-out” alternative, Stephens said. so you buy a handset w the band 14 chip- how much is the monthly fee? Below $20 and AT&T cannibalizes it’s current user base too high and users stick to P25 and legacy 2way.